Poor Attic Ventilation Can Ruin Your Insulation, Destroy Your Shingles, and Raise Your Energy Bills! Why Take Risks? 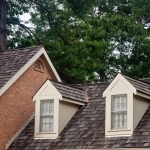 It is estimated that 9 out of 10 homes in North America do not have proper attic ventilation. Why? Because most people are unaware that attic ventilation in your Cleveland home can impact the longevity of their entire home! In the winter, various household appliances, bathtubs, showers, and cooking vapors can contribute to excess moisture build-up. 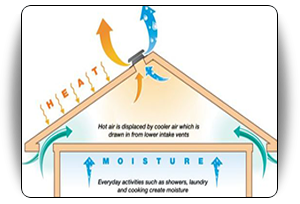 Improper ventilation in your Cleveland home will allow this moisture to collect and cling to the underside of the roof. There, it will condense and fall, soaking the attic insulation and reducing its efficiency. Finally, attics should be properly ventilated to help prevent ice dams in cold Northern climates. 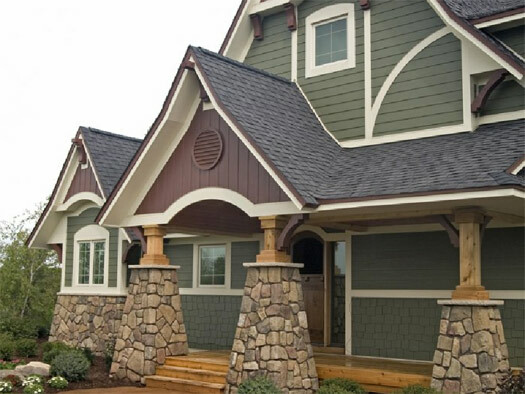 During the winter, ice and snow on a roof will melt and run down the deck to the cooler eaves. This run-off can re-freeze; creating an ice dam that will trap moisture on the roof. The moisture can eventually back up under the shingles and enter your home — causing hundreds or thousands of dollars of damage to your ceilings and walls. 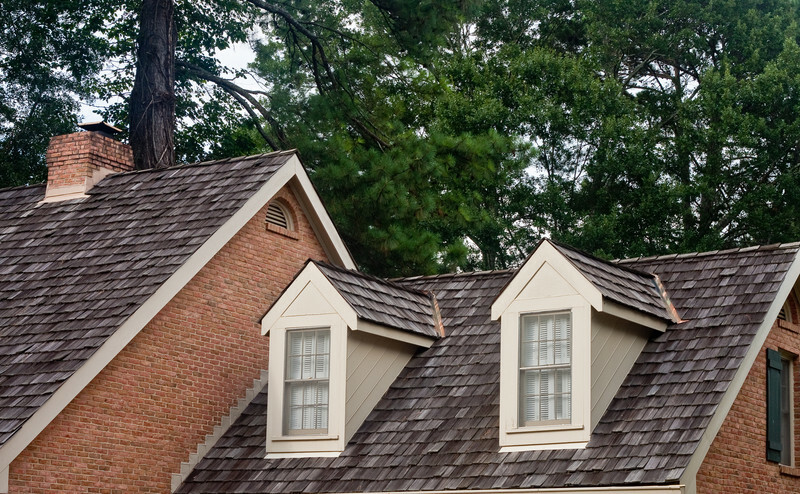 Adequate attic ventilation will reduce the amount of initial melting that occurs on your roof, thereby reducing the chance that ice dams will form. 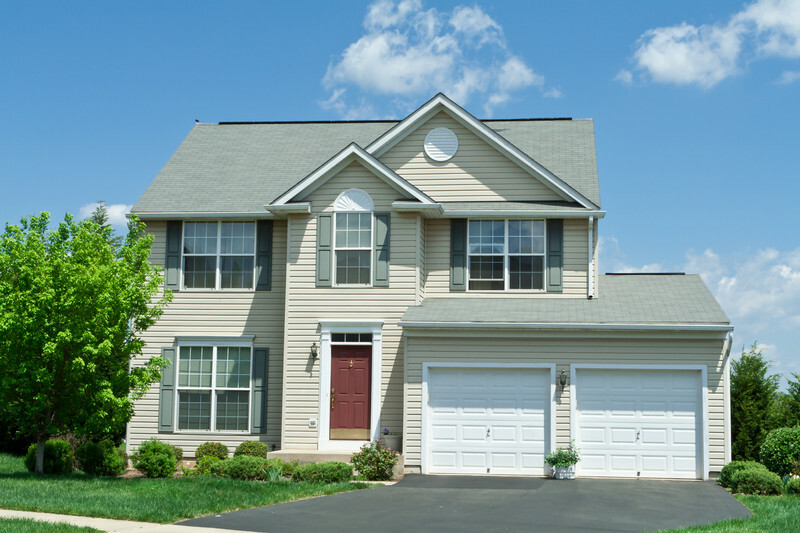 The FHA (Federal Housing Administration) recommends a minimum of at least 1 square foot of attic ventilation (both intake and exhaust) for every 300 square feet of attic space. 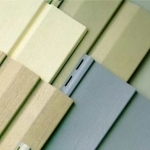 For example, if your attic is 900 square feet, you need a total of 3 square feet of ventilation. This amount is generally divided equally between intake and exhaust ventilation (i.e. 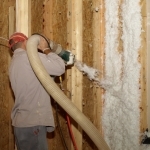 1 – 1/2 feet of each) to insure proper airflow through the attic. 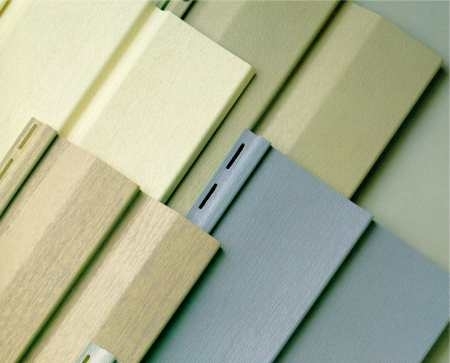 Call The Siding & Insulation Company at (216)-281-5656 from 9 a.m to 5 p.m or complete the free estimate form on the right to schedule your free estimate today. 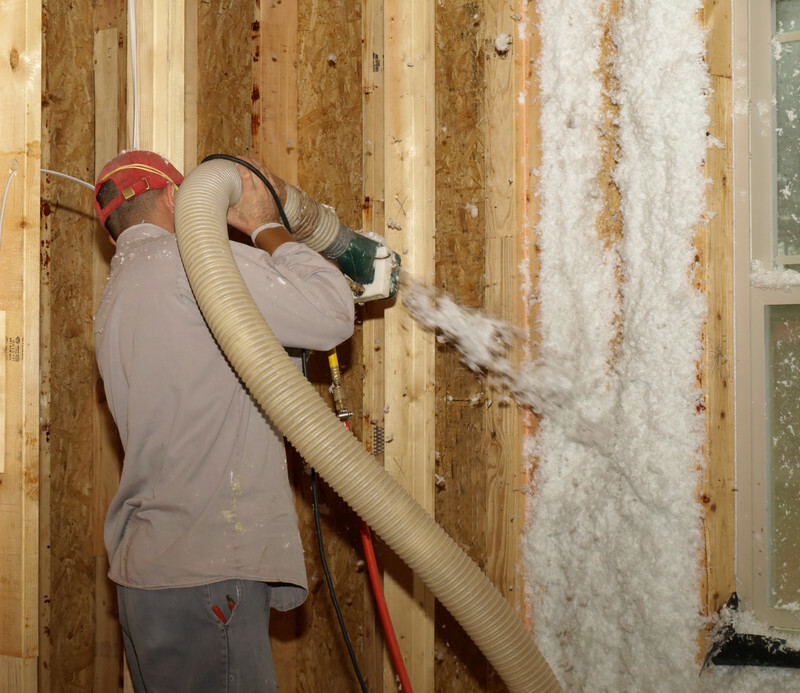 You can get proper ventilation in your Cleveland home from the professionals!